Smashwords today released an enhanced metadata option for box sets. The new option will pave the way for us to make box sets more discoverable in the Smashwords store, and longer term (and more importantly), it will enable better merchandising at our retailers. But one step at a time. First we need to collect the metadata, and that's where you come in. Smashwords authors and publishers are already well-versed in metadata. Metadata is data about your book. Metadata is comprised of things like book category, book title, author name, book description and price. Metadata makes it easier for readers to discover your book by screaming, "Look here! I'm what you're looking for!" 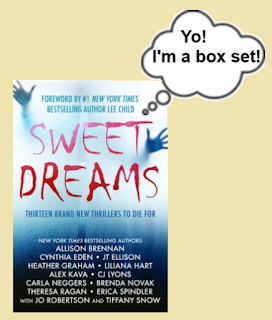 Ebook box sets are a relatively new phenomena, and indie authors are leading the charge. Until now, metadata for box sets has been lacking. Most obviously, a box set is treated like an ordinary ebook, when in fact it's a bundle of books either from a single author or multiple authors. Retailers have shown increased interest in box sets over the last two years, but the process of identifying them is still manual. 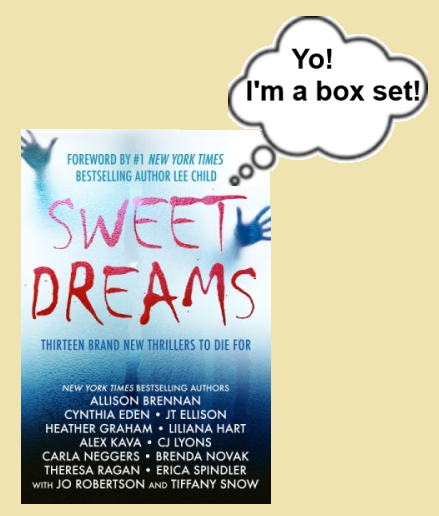 Retailers who want to promote them, and customers who want to read them, must perform manual searches on the phrase "box set" and hope the author placed the words in their title or book description. That's kludgey. There should be a special designation for box sets so retailers have the option to create custom virtual shelves to promote them, and so customers can easily find them. We know retailers want to promote box sets. iBooks, for example, has done many promotions that featured Smashwords box sets. Last year they ran a major worldwide merchandising feature that included over 40 Smashwords box sets from more than 100 Smashwords authors. You can read my blog post on that particular iBooks box set promotion here. We'd like to see more promotions like this from all the retailers, but do assist this endeavor we need to make it easier for us and our retailers to identify box sets in a more automated, programmatic way. If you've published a box set at Smashwords, you can now click to your Dashboard's Settings page for your box set and classify it as a box set. Click the option, click Save, and that's it. If you publish a box set in the future, you'll see the categorization option at the bottom of Section 3 of the Smashwords Publish page. Today's enhancement is a first step. It's a foundation upon which Smashwords and our retailers can build. It will eventually make box sets more discoverable in the same way the Smashwords Series Manager tool makes series books more discoverable at Smashwords retailers and the Smashwords store. If you've never done a box set but are curious to learn more, check out my blog post from last year, How do Box Sets for Audience Building, Charity and Profit. This seems like a pretty big step in the right direction. Well done! But I have a question: What about multi-author anthologies? The individual stories may or may not be available as stand-alone books, or in other anthologies, or they may be exclusively available in this one. Would you consider a multi-author anthology a "boxed set" for purposes of ticking that box? Also (a little off-topic, but not really) for multi-author boxed sets/anthologies, is there a way to link to the author profiles of each author involved, so that the boxed set/anthology shows up in the bibliography of each one? Hi Graham, the definitions are squishy. If the producer of an anthology wanted to flag their book as a box set, that would be fine with me. Technically, box sets are anthologies, though I think most readers associate conventional anthologies as collections of shorter works or poetry, whereas most contemporary ebook readers associate box sets as bundles of multiple full-length books. Though I've seen many box sets of novellas too. Yes, for co-author metadata linkage, see this FAQ at Smashwords. Apple and Amazon seemed to be dragging their feet about selling reflowable and fixed layout editions in the same purchase. That forces users to pay twice for the same content. Would it be possible to create a boxed set with the fixed-layout and reflowable epub versions of an ebook for Apple and other retailers? Priced the same or almost the same as the single-format version, it'd get around that roadblock. How about mixed Apple v. Smashwords publication? Some of the books I'd like to put in a boxed set have already been placed directly on the iBookstore. Would distributing a boxed set of them through Smashwords work? Inkling, I don't think that would be technically possible to include fixed and reflowable in the same epub container (If I'm wrong, someone please correct me). Yes, if you uploaded a individual title directly to iBooks but want to include that title as part of a multi-book or multi-author box set delivered by Smashwords, you can do that. Yay! And ... done! Little boxes all checked off. The Addictive Reads Cooperative currently has 3 box sets with Smashwords and we've been pleased with how readily Smashwords staff linked the author profiles in the past few months. You might want to add a little addendum about what information you NEED. Thank you, Mark. The metadata option looks like it will be most helpful.